Baldwin Street. 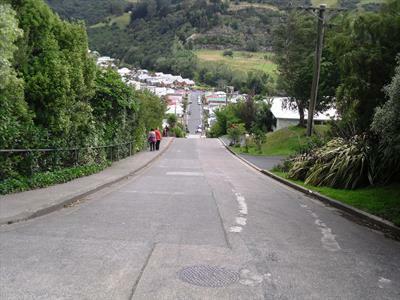 Walk or drive up this world record breaking street and fantastic souvenir shop. 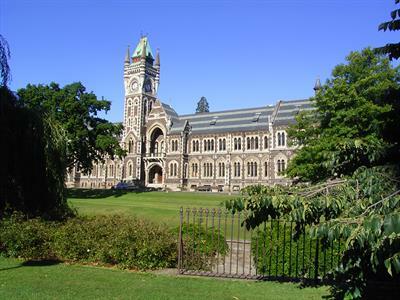 The University of Otago and view the old clock tower building. The Grand Railway Station, we may see the old historic Taieri Gorge Train. Lunch from one of the many cafes and eateries in the Octagon. Try some fresh NZ fish & chips! The Otago Peninsula via Saint Clair Beach to spot keen surfers and take in the vibe of the Esplanade. 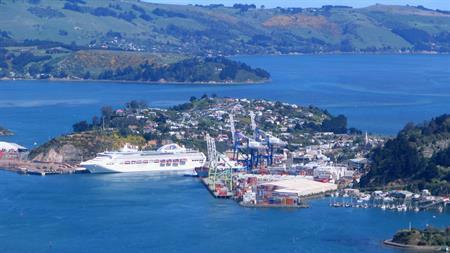 Panoramic views of the Otago Peninsula, photo stops as we travel on-route to Larnach Castle. 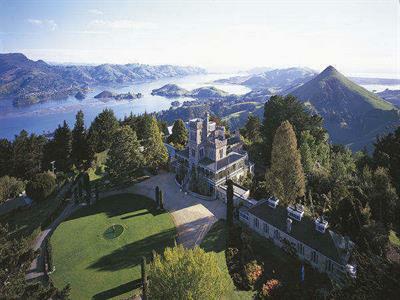 Guided tour of Larnach Castle, from the underground gun room to the views from the turret and all the marvels in between. 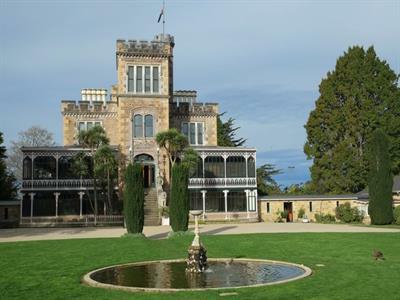 The story of Larnach family’s legacy and there amazing history. The Castle's spectacular garden is one of national significance and there is usually time for a stroll before we depart. On the day there is often time for afternoon tea in the Castle's Ballroom Cafe. Entry fees to the Castle and grounds are included.